Join us to enjoy Baba Israel and Yako 440 and some of Kingston’s own local talent, for a night of awesome Hip Hop performance! 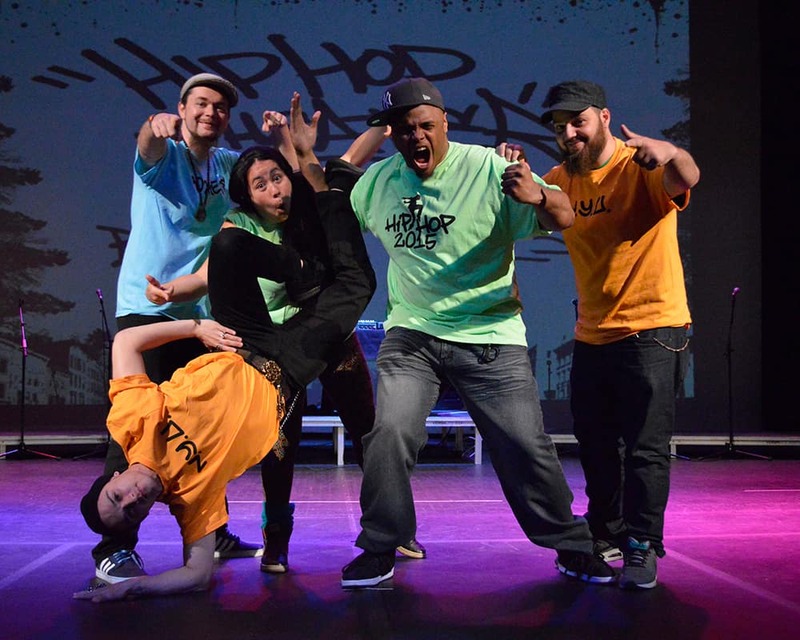 Following a week of intensive Hip Hop Theater training workshops lead by guest teaching artists Baba and Yako 440 at the Center For Creative Education, 60 students will amaze us all with a fabulous culmination performance. Hip Hop Theater has been integral to the Bardavon’s Arts-in-Education Program since 2006. Each year, it offers students from underserved inner-city schools a powerful arts-based learning experience. Through this innovative, multi-faceted workshop, students study poetry, art, music and dance, drawing on their own creative abilities and gaining knowledge and skills in each discipline. They connect with the rhythms of their bodies and explore the art of the written and spoken word. They discover the satisfaction that striving for a shared goal can offer – and they realize they have a voice.